Fever pokemon games go enough to stir this country to so widely discussed media the past two weeks, suspected this phenomenon has spread and engulf almost all over the world since its release dated July 6, 2016 by the company as the owner of Niantic. If scavenge Android Authority report data, did not mess around 10 million downloads in real time reportedly already download GPS-based gaming applications and estimated that the number continues to increase. No doubt due to the proliferation of reporting on pokemon go, complete with spiced various knick knacks unique event, a funny (such as hunting pokemon in the cemetery) and even up to the endless agony has provoked reactions of some government officials, military / police and politicians to speak out. I was quite amused by all manner of events go pokemon this phenomenon, as if there has been a coup in the country as Turkey. Perhaps because the coup was also newly appointed National Police chief Gen.
Tito Karnavian issued a secret telegram Kapolri number STR / 533 / VII / 2016 dated Tuesday (19/07/2016), which essentially prohibits members of the police play pokemon games while on duty. Not to be outdone, the presidential palace, also chimed in on fire by sticking leaflets ban pokemon at the entrance to the press room (nasional.kompas.com) of the presidential palace. What's wrong with the phenomenon actually pokemon go until state officials must grumpy congregation spit babble? Yet in retrospect, this game is not much different than other adventure game genre such as the clash of clans that are also often play the online game enthusiast. Could this be something to do with the use of GPS and camera phone on the application that is considered dangerous and stamped a new mode of international espionage? Readers, it could be and it makes sense perception as such, but as far as it has not been proven conclusively. If investigated based on the background of this pokemon game developer then worry it could be said speculation astray, my brother is purely a business. Because the company as the developer Niantic pokemon game revenue decline since nintendo game less longer in demand. Naturally, I said if later mecca of game development was shifted, the reincarnation and changing to a pokemon game based environments like this. If it was not so exegesis, continue what O seasoned analysts. The fact is there has never been a similar game. This means that there is a gap wide-open market monopoly and it is definitely money with lucrative value was at hand. 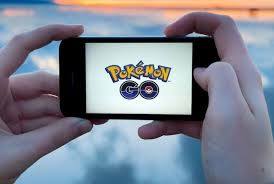 It is estimated that the presence of these pokemon game will provide revenue to the coffers of companies Niantic approximately 30 percent. A figure which is quite fantastic which will reinforce the foundation of the company's financial position again. Proven as daily released compass com with the headline news "every minute pokemon go handful profit of Rp. 143 million "
Apart from the matter of profit, playing a game would have never got out of curiosity. It became a sort of obligatory kifayah that must exist and be implemented, so it seemed when we started to play pokemon games go the adventure genre. Hunting monsters pokemon in every corner of the place is almost certainly exciting, say as a tourist, no matter whether it's at the cemetery sacred ancestors, bathroom, store, mall, or even a head of state environment presidential palace. Even a Pramono Agung itself was so curiosity, went along to try out this application and honestly said that Pokemon monster is pretty much scattered in the environment around the presidential palace. So, in the way the business point of view, the phenomenon of pokemon go is a way to steal the show and steal the hearts of lovers of the game play. Claims of government officials in the cap game pokemon demon assuming considered particularly disturbing nature less unacceptable, it is nonsense that only show the shallowness of thought. Come on, do not need the upper echelons of government and state officials must take care bandwagon about pokemon go then spit a sad statement to the public while the ins and outs behind the phenomenon pokemon go itself is not understood. As a result of the intervention of the officials with the public statements stack even more excited and behind the increasing popularity rating pokemon go. Moreover, this is compounded by the involvement of the media is so dramatize the situation and conditions, become a Pokemon phenomenon became trending topics and materials of conversation in social media. I'm a high-confidence soon pokemon phenomenon will fade and change again with new issues equivalent to bite him in the crowd. Finally, I want to say stop official comment about pokemon go, just make noise. It was not a serious issue, focused only take care of the interests of society that is still widely neglected. Is not it also through the application of this game, even the public will get to know the surrounding neighborhood close itself that may have been overlooked.